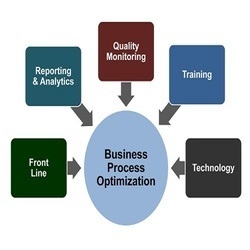 We are a prominent name in the industry that facilitates customers with unparalleled Process Optimization Services. Capability maturity model integration is a process where models are improved for providing essential elements to the organizations in order to run an effective process. One can use this process to educate or guide the process of improvement across various divisions, projects or entire organization.